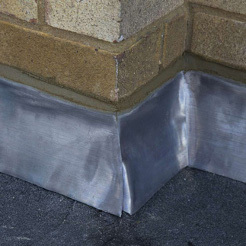 Need someone reliable, trustworthy and professional to fix or install a flat roof? 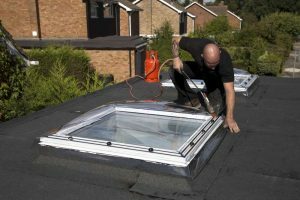 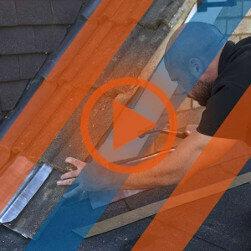 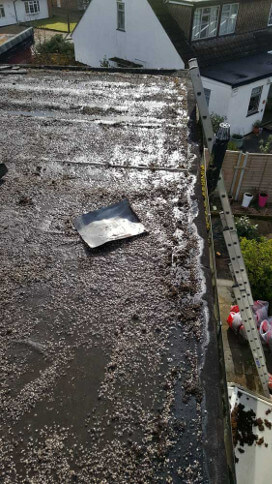 Roof Rescue have a growing reputation for providing a top quality flat roof installation service in the Bromley area. 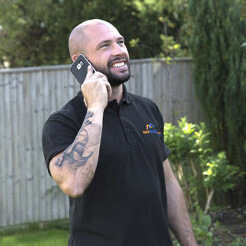 We have earned this reputation through our commitment to complete customer satisfaction and our well trained and highly skilled tradesmen. 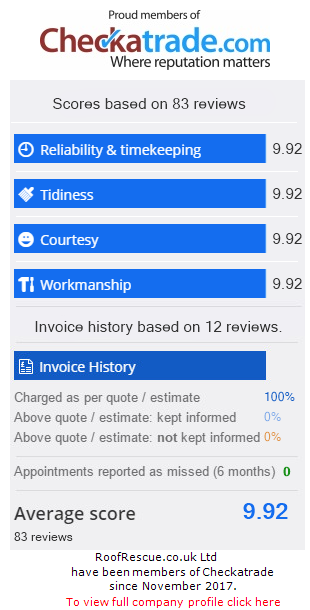 We pride ourselves on providing a service that not only meets our customer’s expectations, it most definitely exceeds them. 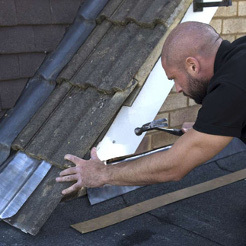 We provide a high quality flat roof installation service that means you can enjoy a roof that will be watertight and maintenance-free for many, many years. 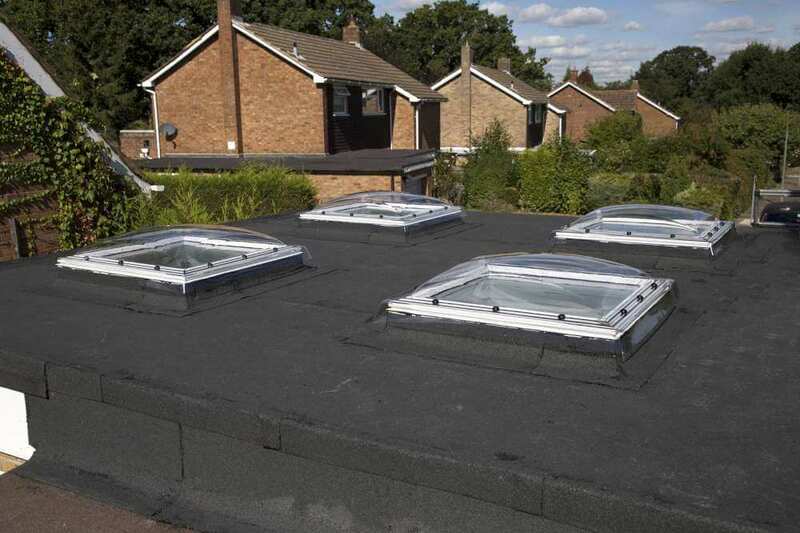 3 Layer Bitumen felt roofs – We are experts in the application of traditional high performance felt roofs using the ‘torch on’ method. 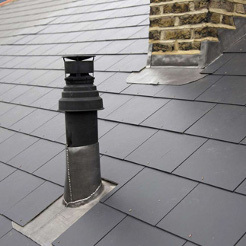 This provides an attractive, cost effective and reliable roofing solution. 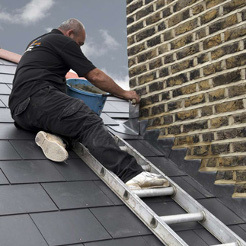 All of our roofing experts are fully trained and insured to carry out this work to Roof Rescue’s exacting standards. 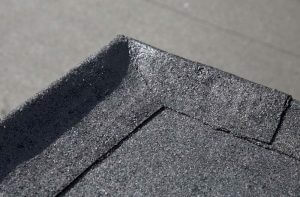 We provide a 10 year guarantee on our high performance felt roofs. 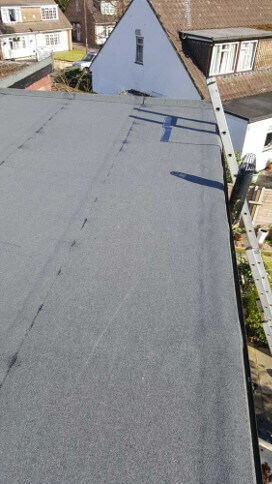 Fibreglass – Our fibreglass roofing (Glass Reinforced Polyester) system provides a cheap, corrosive resistant, long lasting and popular roofing solution. 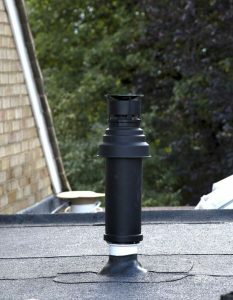 We are proud to be an approved contractor to install fibreglass roofs using the CrysticROOF system. 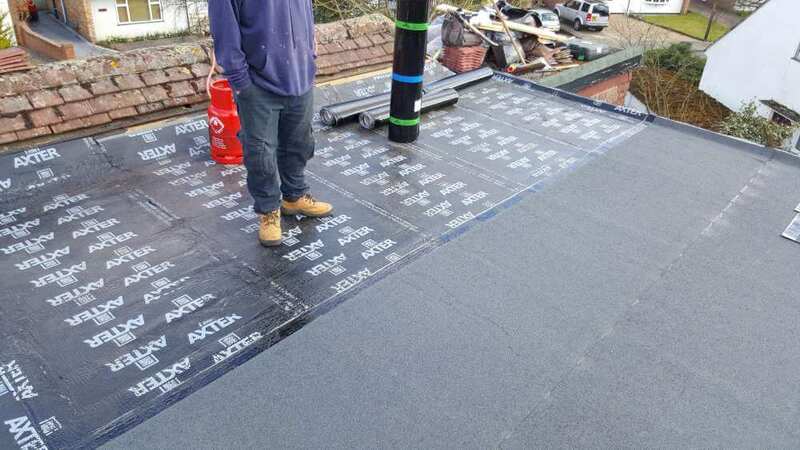 CrysticROOF is one of the UK’s leading in-situ, cold-applied, glass-reinforced polyester roofing systems (manufactured by Scott Bader Company Ltd.). 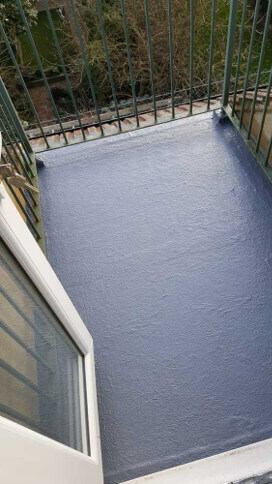 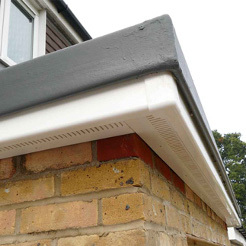 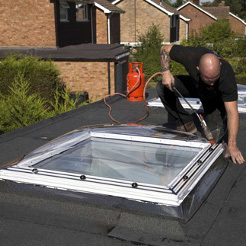 We provide a 20 year guarantee on all of the fibreglass roofs that we install. 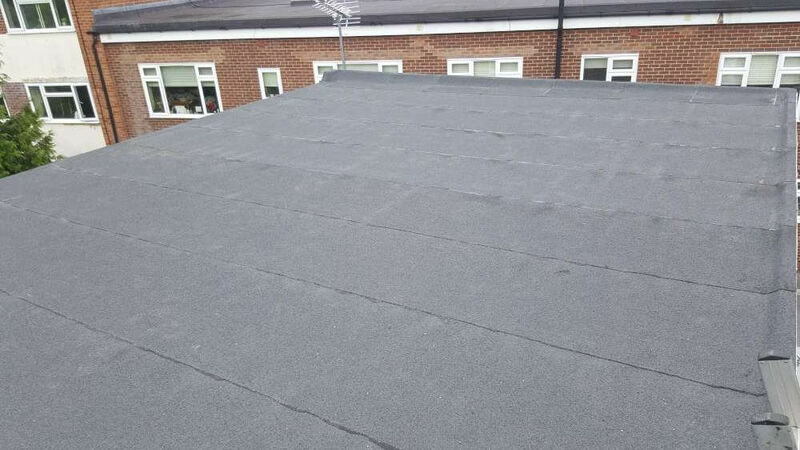 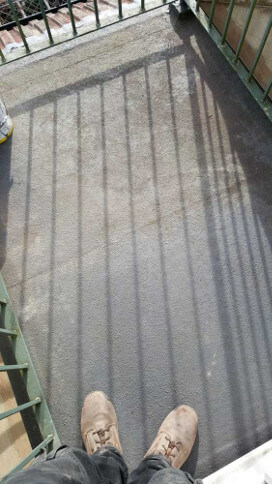 Use the button to slide across the images below to see how our flat roof services can transform your roof.